The Adventures of Fi: Things are looking up! First up, summer working hours are about to start - wahooo! This is one of the perks of working in publishing (that and free books sometimes). During the summer we get Friday afternoon off if we make up the time during the week - how ace is that? Obviously we have to have a few people in the office each Friday afternoon, it's not a complete free for all, but we do get most of the Fridays in July and August off, starting next week. I have grand plans for these days. Things like meeting up with (publishing) friends in the park, visiting newborn babies, explore London and getting an early start on weekends away. Ooh it's going to be blissful! Before that though I'm off to see a Wakey!Wakey! gig. The gig next week will be my second of the year and I can't wait to see them live once again, if you've not heard of this awesome band you're missing out. The music is lovely, the lyrics are so beautiful plus they are amazing live. Honestly if you knew them you'd be super-jealous of me. Promise. Another thing I've booked recently is a trip in November to the Harry Potter Studio Tour, when it'll hopefully be decorated for Christmas. This will be my third trip to the wonderful world of joy that is the tour and I can't wait! This time I'm going with four publishing friends who are just as geeky as me about the books. And some of them haven't even been - crazy people! I can't wait to explore everything again and know I'll have a total blast, eek! In other news I've decided to book a Portugal holiday for September and I cannot wait. We're off for nine days and I can't wait for sunshine, beaches and nothing to do but swim, read, repeat. Am I the only one who hasn't seen The Fault in our Stars movie yet? I'm finally seeing it today and whilst I wasn't super-keen on the book (I felt like I'd missed the point of it and that I was really stupid for doing so) I am intrigued by the film. I've heard such brilliant reviews (mainly from huge fans of the book, which is unusual) so I can't wait to give my opinion of it. Finally I'm overexcited about the fact that I'm heading to see The Crucible at the Old Vic next month. I've never seen it performed before so it'll be brilliant to finally tick it off the list! 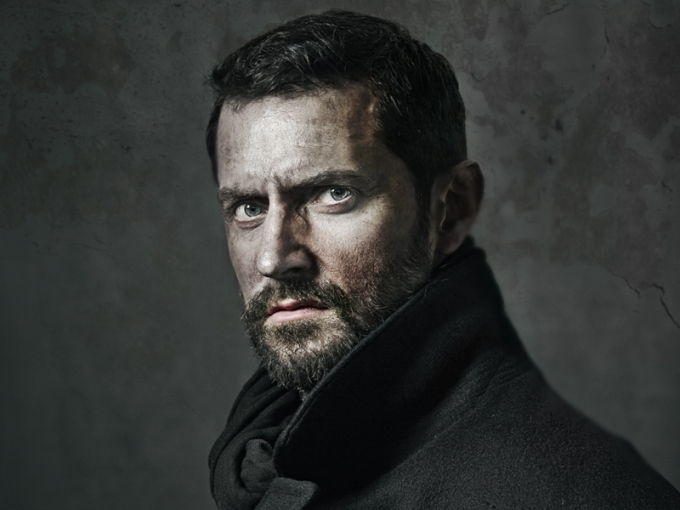 Oh and it stars the hugely talented and rather gorgeous Richard Armitage, who I may (or may not) have a bit of a crush on. I am obviously super excited about this occurring, I mean Thornton** will be in the same room as me - dreams do come true. So yes a few things to look forward to over the coming months, what about you what are you excited for? *I had to cut so many '!' out of this post - it was getting insane I tell you! **if you don't get this reference I'm not sure we can be friends until you watch this epic TV adaptation of North and South. It's the TV equivalent of a cup of hot chocolate and marshmallows or being wrapped in a duvet. Seriously it is. Watch it.